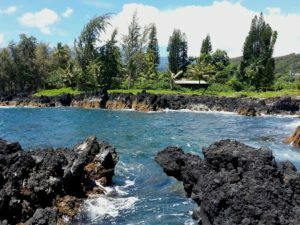 Awapuhi Adventures on Maui, Hawaii gives private tours of Maui for singles, couples, families and small groups for all ages and abilities. The logo represents our commitment to the aina (land) and the ocean. We offer private tours all over the island of Maui. Awapuhi Adventures has been in business on Maui for over 11 years, and have always kept our tours private for individual groups only. This lets us tailor each tour to the group’s preferences and abilities. Some groups want casual and leisurely tours, while others want exotic and athletic tours following narrow trails into the rain forest. Whether you want a stroll through an organic vodka farm, or swinging from ropes into waterfalls, Awapuhi Adventures will find you the right adventure! BOOK YOUR HIKE NOW!